British Columbians have probably heard the term “extra-billing” several times over the past few years as the provincial government has sparred with private health care clinics in court and in the media. At face value, “extra-billing” doesn’t sound very pleasant. Who would want to be billed “extra” for something? But if you scratch below the surface, you may find the provincial government’s definition of “extra-billing” is not what you think. Not only does it differ from Ottawa’s definition, what the government is opposing is actually an important feature of health care systems that deliver better results for patients. To understand how this issue affects British Columbians, consider Bruce MacDonald’s story. Several years ago, Bruce had a serious mould infection in his body and required sinus surgery. The infection made it hard for Bruce to concentrate; the discomfort he felt was “torture” and his relationships with friends and family suffered. Incredibly, Bruce was told he would have to wait 2-3 years for surgery in B.C.’s public system. He broke down in his doctor’s office when he heard the wait time estimate and worried the infection could spread and overtake his body. Thankfully, there was a private option. Bruce borrowed some money and paid to have sinus surgery at a private clinic in Vancouver four months later. In fact, Bruce credits the private clinic with saving his life after the government placed him on a long waiting list. Fast forward to today, and the provincial government now considers stories like Bruce’s to be “extra-billing” – and illegal. Why? Because Bruce used his own money to pay for a procedure instead of waiting 2-3 years for the government to provide it. Currently, the B.C. government is in court fighting the Cambie Surgery Centre and the Canadian Constitution Foundation on the matter of so-called extra-billing. If the B.C. government is successful, patients like Bruce will no longer have such private options in B.C. They’ll either have to leave the country for faster care or cross their fingers and hope the government provides surgery more quickly. The federal government’s Canada Health Act, however, defines “extra-billing” differently. Ottawa describes extra-billing as when a patient pays for a procedure and the provincial government pays for the same procedure. Ottawa’s definition more accurately describes cases where billing twice actually occurs. Other countries with world-leading health care systems allow patients to pay for their own health care if they don’t want to use the public system. If you review the progressive Commonwealth Fund’s 2017 analysis of health care systems in other developed nations, you’ll see that Canada ranked 9th out of the 11 countries studied. Countries that led the pack – the United Kingdom, Australia, New Zealand, Norway, Sweden and others – all give patients a choice: use their public health care system or pay out of pocket at a private facility. 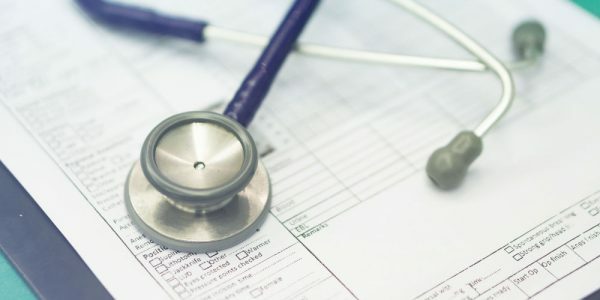 The Fraser Institute has noted that allowing private clinics to operate alongside the public system won’t solve all of our nation’s chronic health care problems. However, such clinics serve as a pressure valve that reduce the strain on the public system. Simply put: when patients like Bruce are able to leave the government health care system, and pay for procedures in a private health facility, that’s one less patient waiting in front of those who are using the government system and are unable to afford other options. One thing is clear, patients should know what the B.C. government means when it refers to “extra-billing.” It’s actually a feature of health care systems that provide better outcomes for patients.